At last! 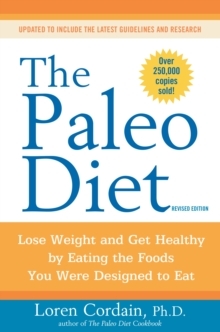 The cookbook based on the bestselling The Paleo Diet Dr. Loren Cordain's The Paleo Diet has helped thousands of people lose weight, keep it off, and learn how to eat for good health by following the diet of our Paleolithic ancestors and eating the foods we were genetically designed to eat. Now this revolutionary cookbook gives you more than 150 satisfying recipes packed with great flavors, variety, and nutrition to help you enjoy the benefits of eating the Paleo way every day. 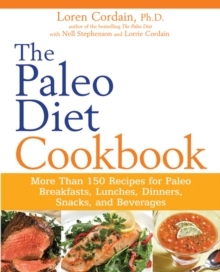 Based on the breakthrough diet book that has sold more than 100,000 copies to date Includes 150 simple, all-new recipes for delicious and Paleo-friendly breakfasts, brunches, lunches, dinners, snacks, and beverages Contains 2 weeks of meal plans and shopping and pantry tips Features 16 pages of Paleo color photographs Helps you lose weight and boost your health and energy by focusing on lean protein and non-starchy vegetables and fruits From bestselling author Dr. Loren Cordain, the world's leading expert on Paleolithic eating styles Put The Paleo Diet into action with The Paleo Diet Cookbook and eat your way to weight loss, weight control maintenance, increased energy, and lifelong health-while enjoying delicious meals you and your family will love.